U.S. teachers have less time to plan, collaborate, and research related work in comparison to teachers in competing countries (NECTL) and time is needed for teachers to learn new skills, understand new concepts, and to integrate new ideas into their practice (Corcoran, 1995). The MSUrbanSTEM Teaching and Leadership Fellowship program is a professional development program that works with a selected group of K-12 STEM teachers in the Chicago Public School system. This untraditional program tackles the issues of teachers needing more time to learn new skills and integrate them into practice by using one academic year to develop teachers in four ways: (a) Inspiring teachers to embrace an Deweyian educative experience to teaching, (b) encouraging an unorthodox approach and lens to teaching and learning, (c) creating supportive teaching communities, and (d) expanding teacher pedagogical practices with technology and creativity. These four theoretical frameworks make up the overall philosophy that grounds the UrbanSTEM program while always considering the challenges, benefits, and unique customs of urban context that the teachers work. This chapter also includes some reactions of some of the participating fellows, expressing what they learned from this program and how it inspired them or altered their view. Seals, C., Mehta, S., Graves Wolf, L. & Marcotte, C. (2017). Theory and Implementation of an Innovative Teacher Professional Development Program. 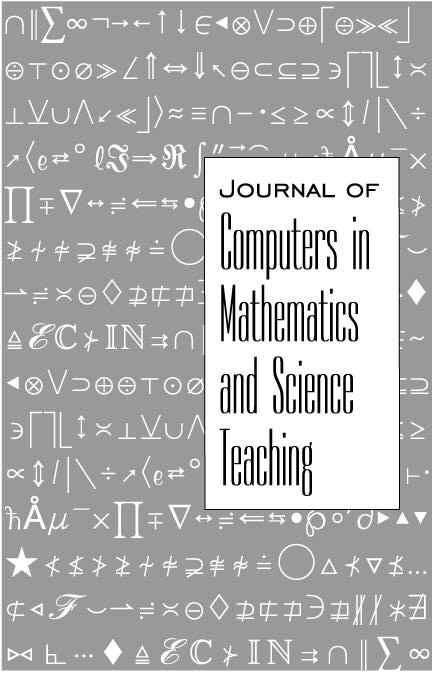 Journal of Computers in Mathematics and Science Teaching, 36 (3), 219-235. Waynesville, NC USA: Association for the Advancement of Computing in Education (AACE). Retrieved April 21, 2019 from https://www.learntechlib.org/primary/p/180385/. Brennan, R.L. (2006). Educational measurement. Westport, CT: American Council on Education. Brown, J.S., and Duguid, P. 2000. The social life of information. Cambridge, MA: Harvard Business School Press. Theory and Context guide for state policymakers. Washington, DC: National Governors’ Association. Corcoran, T.B., Shields, P.M., and Zucker, A.A. (1998) The SSIs and professional development for teachers. Menlo Park, CA: SRI International. Dewey, J. (1959). The child and the curriculum. Chicago: University of Chicago Press. Dewey, J. (1938). Education and Experience. New York: Kappa Delta Pi. Espinosa, L.L. (2009). Pipelines and Pathways: Women of Color in STEM Majors and the Experiences that Shape Their Persistence. University of California, Los Angeles. Garet, M., Porter, A., Desimone, L., Birman, B., & Yoon, K.S. (2001). What makes professional development effective? Results from a national sample of teachers. American Education Research Journal, 38(4), 915–945. Gersten, R., Taylor, M.J., Keys, T.D., Rolfhus, E., & Newman-Gonchar, R. (2014). Summary of research on the effectiveness of math professional development approaches. REL 2014-010. Regional Educational Laboratory Southeast. Guskey, T.R. (1994). Results-oriented professional development: In search of an optimal mix of effective practices. Journal of Staff Development, (15), 42-42. Kaufman, J. (2010). The personal MBA: A world-class business education in a single volume. Portfolio Penguin. Koehler, M.J., & Mishra, P. (2008). Introducing TPACK. AACTE Committee on Innovation& Technology (Eds. ), Handbook of technological pedagogical content knowledge for educators (pp. 3-29). New York: Routledge. Lave, J., & Wenger, E. (1991). Situated learning: Legitimate peripheral participation. Cambridge university press. Mezirow, J. (1997). Transformative learning: Theory to practice. New Directions for Adult and Continuing Education, (74), 5–12. Mishra, P., & Koehler, M.J. (2006). Technological Pedagogical Content Knowledge: A new framework for teacher knowledge. Teachers College Record, 108(6), 1017-1054. Museus, S.D., Palmer, R.T., Davis, R.J., & Maramba, D. (2011). Racial and Ethnic Minority Student Success in STEM Education: ASHE Higher Education Report. John Wiley& Sons. National Education Commission on Time and Learning (2005). Prisoners of time. Washington, DC: U.S. Government Printing Office. Palmer, R.T, Davis, RJ, Moore, JL, & Hilton, AA (2010). A nation at risk: Increasing college participation and persistence among African American males to stimulate US global competitiveness. Journal of African American Males in Education (JAAME), 1(2), 105-124. Schlager, M.S., & Fusco, J. (2003). Teacher Professional Development, Technology, and Communities of Practice: Are We Putting the Cart Before the Horse?. The Information Society, 19(3), 203–220. Swenson, J., & Mitchell, D. (2006). Enabling communities and collaborative responses to teaching demonstrations. Berkley, CA: National Writing Project. Terry, L., Mishra, P., Henriksen, D., Wolf, L.G., & Kereluik, K. (2013). The Reciprocal Relationship Between Technology and Psychology. TechTrends, 57(3), 34–39. Troen, V., & Boles, K. (1994). Two teachers examine the power of teacher leadership. Teachers as leaders: Perspectives on the professional development of teachers, 275-286. Wayne, A.J., Yoon, K.S., Zhu, P., Cronen, S., & Garet, M.S. (2008). Experimenting with teacher professional development: Motives and methods. Educational researcher, 37(8), 469-479.